If you’re after a romantic wedding venue, the Yarra Valley is a top choice for many brides and grooms. The rolling hills laden with grapevines sets a romantic scene for your ceremony and makes of a great backdrop for wedding photos of you and your loved ones. Wedding Venues in the Yarra Valley are great for wedding photography and it is so close to Melbourne. In summer, the vines are green and dripping with grapes. In Autumn, the vine leaves are all shades of a sunset. During winter, the vines are bare and only the curling branches are to be seen. If the lack of greenery doesn’t bother you, the Yarra Valley is still a romantic place to exchange your vowels during winter. Every vineyard up in the Yarra Valley has it’s own special appeal. Whatever your taste and budget is, there’s sure to be a winery to suit you. We’re going to give you a run-down on some beautiful wineries to help you choose your perfect winery wedding location. The great thing is that the Yarra Valley is only an hours drive from Melbourne’s CBD so your guests have the option to stay overnight or head back to town. Be nice and organise a bus to pick up guests from the city and to drop them back off at the end of the function. Your friends can enjoy themselves and the beautiful wines of the Yarra Valley without having to worry about driving. If your chosen winery has a cellar door, maybe organise for your guests to arrive earlier for a wine tasting. Just make sure there is someone to round them up for your ceremony! Some vineyards have an on-site chapel if you require a traditional church wedding. Some wineries have on-site accommodation which makes it convenient for yourselves and some of your guests. You might want to stay the night prior to your wedding day so that you can start your wedding preparations there. You’ll be a lot more relaxed for it. Some wineries are surrounded by mountains and hills which means that the sun disappears faster than the predicted sunset time. Check with your venue and your wedding photographer to get your timeline right. Winter means that the sun will disappear much sooner so maybe your intended 5pm wedding ceremony is not such a great idea! Maybe aim for an earlier ceremony to utilise the natural light. Check our wedding photography article here. One of my favourite restaurants in Melbourne is the restaurant at Yering Station. The food and wine is amazing, the service is impeccable and the grounds are picturesque. Chateau Yering offers their brides and grooms a wedding venue which oozes some old-world charm. With it’s stunning heritage listed gardens, a restored 1854 Victorian Mansion and 32 hotel suites which are decked out with welcoming antique furnishings, your wedding day will be as romantic as you envisioned. Don’t take my word for it, go up there and take a look for yourself. Sample their award winning food and wine and soak up the beautiful surroundings. It will be hard to pass up this venue for your special day. This is another exquisite wedding venue with an on-site Chapel. 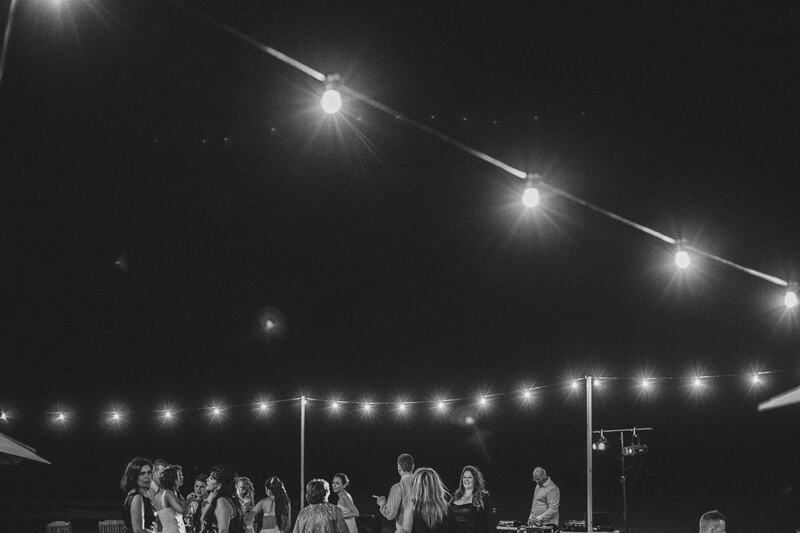 With uninterrupted views which travel right up to the Great Dividing Range, and two superb restaurants which have gained a great reputation for it’s eclectic menu and extensive wine list – this premier wedding venue will make your wedding day something to remember. The event will be etched into your guests’ memories for a long time after. The Barn and the Stables are the two restaurants at Stones of the Yarra Valley. The Barn hosts impressive private functions, including weddings. It’s also a great place to head for a relaxed weekend lunch. The Stables is open for dinner on Friday and Saturday nights. There’s Tapas on offer for Saturday and Sunday lunch. They’re open all year long so why not treat yourself and your guests to some sensational food and excellent service. 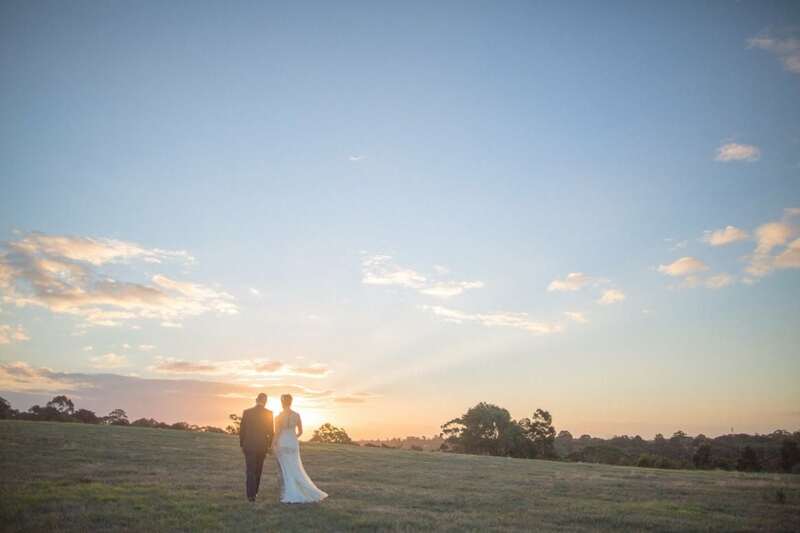 Balgownie Estate, nestled within the heart of the Yarra Valley, is another one-stop wedding venue. They will cater for your ceremony, function and accommodation needs. You can exchange your vowels in a lovely large, white marquee which seats up to 80 guests (holds up to 100) and then move to their Melba function room for the party. Their 4.5 star accommodation (equipped with a luxurious day spa) is offered at a discount price when you book your wedding with them. You and your bridal team can indulge in some spa treatments (at the Natskin Spa Retreat at Balqownie Estate) on offer during your wedding preparations and you won’t have to travel far after a great day of celebrations. There’s 70 suites available so your guests will be very happy as well. This elegant wedding venue, set across 7 hectares of manicured gardens, will set the romantic scene for your special day. You will have a choice of different locations for your ceremony to suit your style and size of your guest list. Your reception will flow into the stunning Clock Tower restaurant, where you and your guests will experience the unique dishes made from predominantly estate-grown produce and sip on award winning wines from the vineyard. This venue seats up to 150 guests. 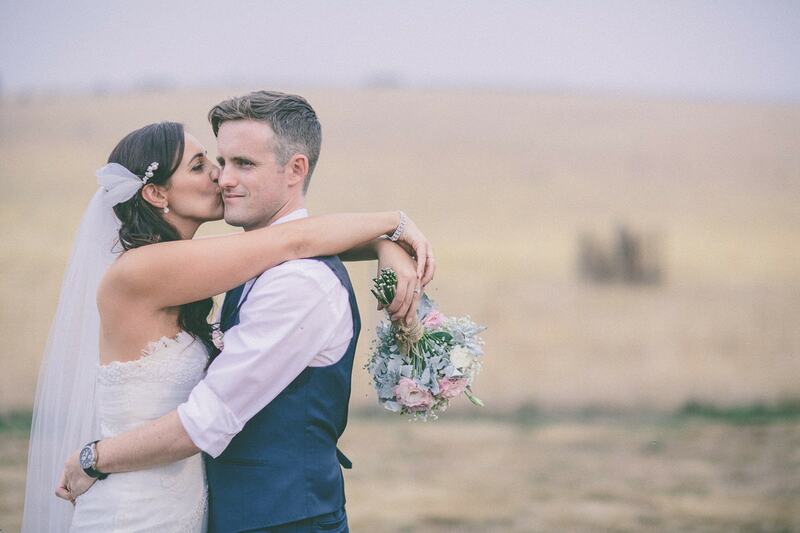 There is no on-site hotel at this Yarra Valley wedding venue. This quaint winery has it’s on Chapel for your traditional wedding ceremony needs. For the not-so-traditional, you can choose to have your ceremony with the vines in the background. The stunning gardens and man-made lake will provide the perfect backdrop for your wedding photos. The on-site hotel makes for a relaxed start and finish to your special day. Their indulgent day spa treatments will take away any stresses prior to your ceremony and have you floating down the isle with ease. You and your guests will then enjoy fabulous hospitality in the light-filled Immerse Restaurant, which has been written up several times in the Age Good Food Guide. The food is created from produce which is locally grown and farmed. Wash down the delicious flavours with Immerse’s award winning wines, crafted from the grapes grown on their vines. 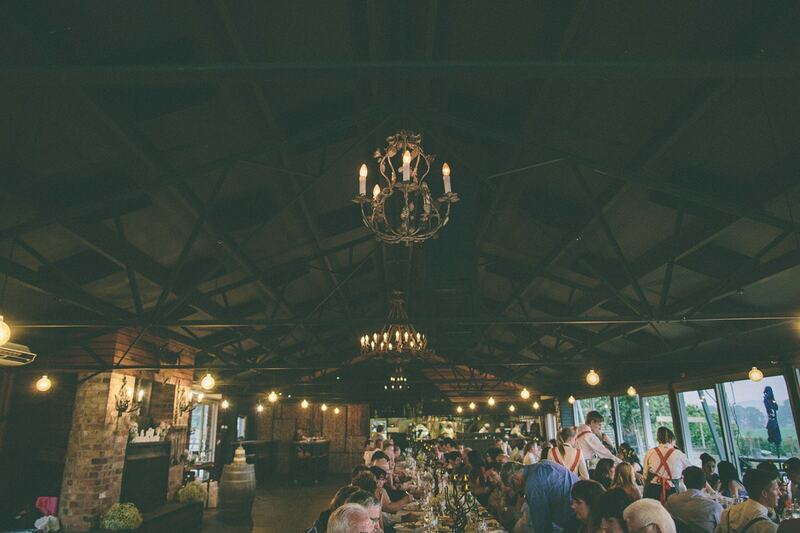 If a rustic vineyard wedding with Italian flavours is what you’re after for your wedding day, look no further than Zonzo Estate in the Yarra Valley. Formerly known as Zonzo Train Trak Winery, this wedding venue has a full time wedding co-ordinator to help your day run smoothly. You can choose to have your ceremony outdoors against the picturesque landscape, or set up inside their rustic barn. You and your photographer can then head out to wander through the vines, across the rolling fields and along the abandoned train track for your photo shoot. The breathtaking scenery will provide the perfect backdrop for your wedding portraits. Zonzo serves up traditional Italian fare, using some produce from their own garden. Guests can nibble and mingle away on the terrace to start off with, before being fed a homestyle Italian feast, including antipasti and wood-fired pizza, for dinner. Zonzo’s 45 acres of vines produces some lovely drops to accompany their delicious Italian fare. Photographing weddings in the Yarra Valley is always an experience. The beautiful backdrops and scenery is just there. No need to travel. Ideal for a relaxed wedding. Make sure you have a look at our wedding portfolio when you are looking for a wedding photographer in the Yarra Valley. We would love to capture your big day.